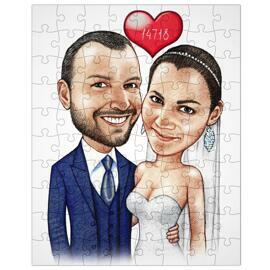 Order a digital caricature which will be hand-drawn in a beautiful Romantic Wedding Theme by our photolamus artist. 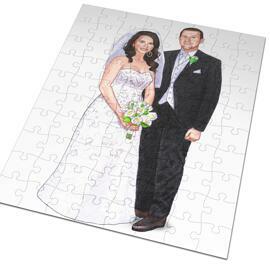 Our artist will draw a fantastic colorful caricature from photo of any wishing couples. 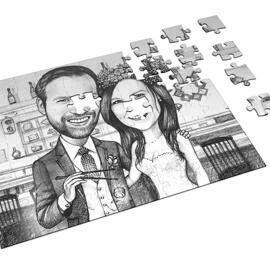 Wedding themed caricature will make a fabulous Save the Date cards which can be emailed, personally given or sent by post. 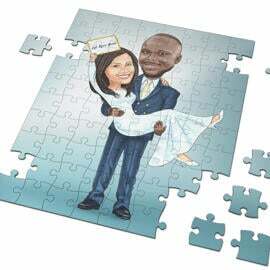 We consider all of your requirements and wishes while designing your personalised wedding invitation. Whether your wedding will be in the blueberry, flower, vintage or retro style, we will be pleased to contribute in your wedding preparation. Ordering is simple. 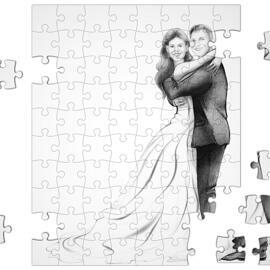 Mention desired inscription for a drawing (date, spot, names), upload a high quality photos and mention specific details for each person, which we have to take into account in order to meet your expectations, and within a couple of days your wedding caricature will be delivered as a ready to be printed JPG to your Email, by default. 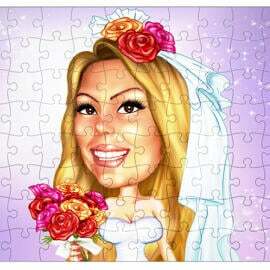 Note: Each caricature is created individually, based on client's wish. So If you would like a caricature designed in the same way, please save it and upload with your personal photographs. 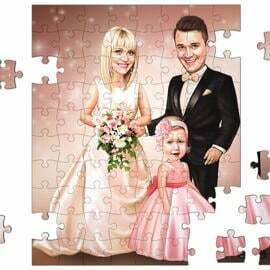 We can provide you with a scanned and printed wedding caricature on canvas or photo paper of multiple sizes upon your wish. Worldwide shipping is available.